Campaigns for the presidential and National Assembly elections end today under the provisions of the Electoral Act. 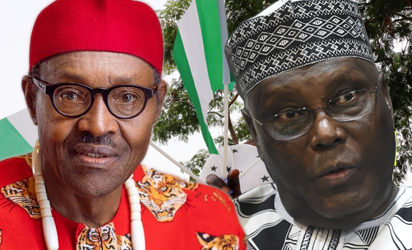 The two major presidential candidates, President Muhammadu Buhari of the All Progressives Congress, APC and Atiku Abubakar of the Peoples Democratic Party, PDP have been able to visit the nook and cranny of the country in search for votes. Atiku, however, passed over Ogun State on account of the internal crisis that had lately bedeviled the state chapter of the party. The APC ends its campaign rallies in Katsina today and held its mega rally in Abuja yesterday. However, the absence of the national chairman, Comrade Adams Oshiomhole and the national leader of the party, Asiwaju Bola Ahmed Tinubu at the Abuja rally seemed to cast a shadow over the campaigns. For the PDP, as at press time yesterday party sources could not confirm speculations that the national mega rally would hold in Abuja today. The rally had been expected to hold yesterday but could not on account of the clash with the rally of the APC which also held in Abuja. “The party is yet to decide on whether the rally will hold,” a source close to the party disclosed yesterday evening. In deciding to avoid a rally in Ogun State, the PDP may have learnt from the crisis that disrupted the APC rally in the state and also the similar controversy that shadowed the APC rally in Imo State.